Many were asking for my humble review on my recent trip to Boracay, Philippines. Since it’ll be a lengthy story altogether, so I considered segregating my entries partially (you may refer to the title). It was a fabulous 9 days trip. Good and bad. But mostly amazing. Our journey began on Mon, 21-Jan-13 at 9:20 PM from Kuala Lumpur (Ooh well! 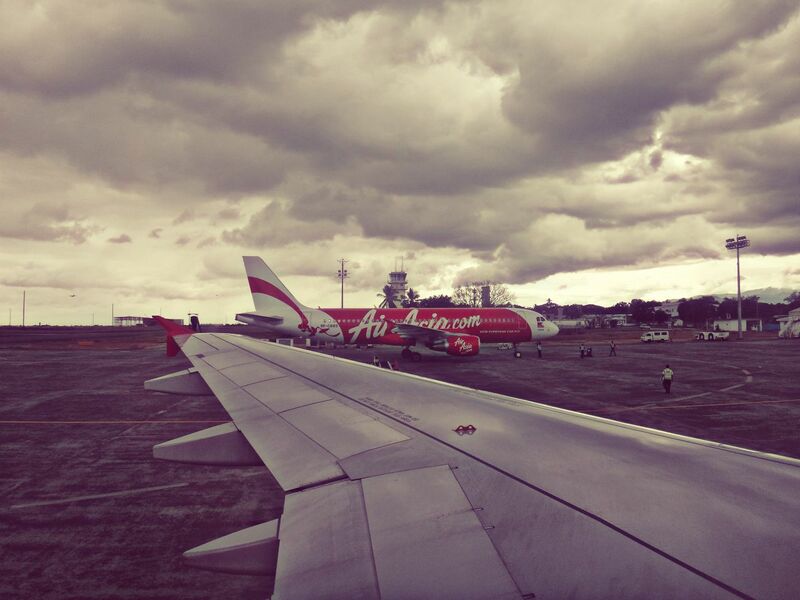 This was a last-minute time changes announced by Air Asia). I don’t know what is ‘Bangko Sentral Ng Pilipinas’. So I lied. 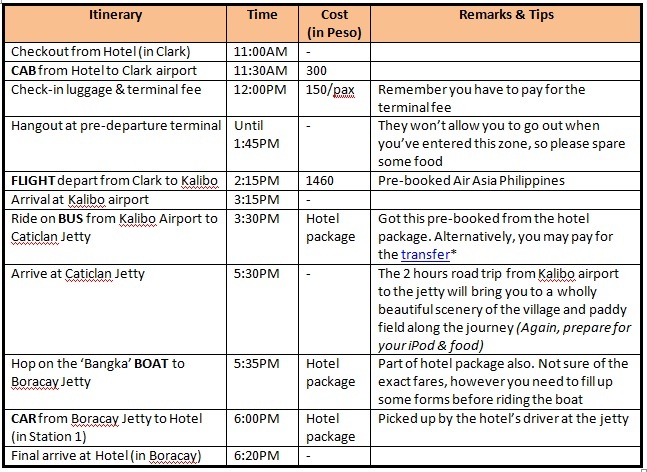 Above are the relatively hours and transportation we took for the entire trip to reach Boracay. 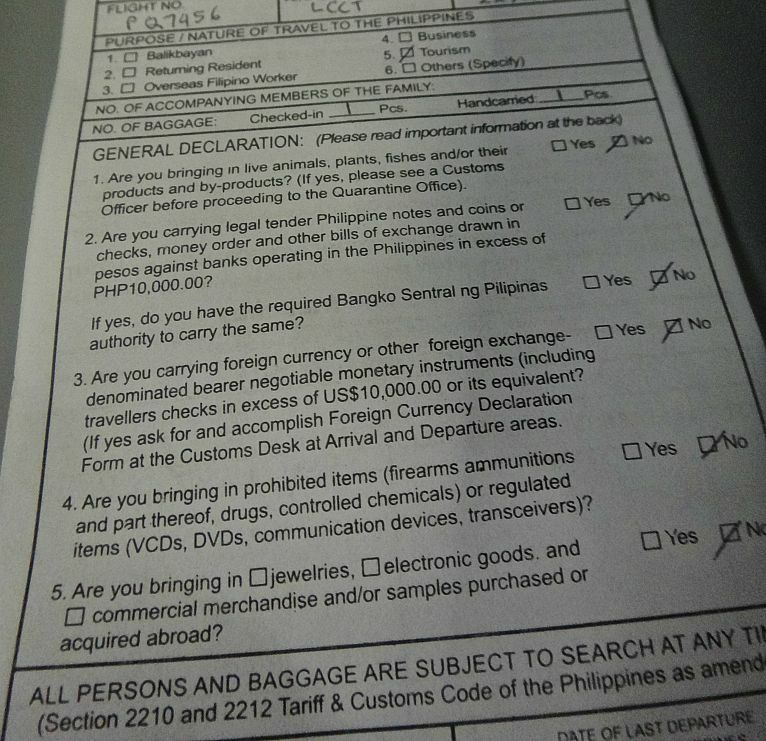 Nevertheless the exhaustion, we were lucky enough to have pre-booked the airport transfer (Kalibo to Boracay) as part of our hotel package, considering lesser difficulties when there’s someone waiting for you at the airport and jetty. We received the warmest, friendliest welcome by the hotel staff and the breathtakingly amazing scenery of Boracay island. *Note: For estimated costs and downloadable guide/map, you may refer to this website. 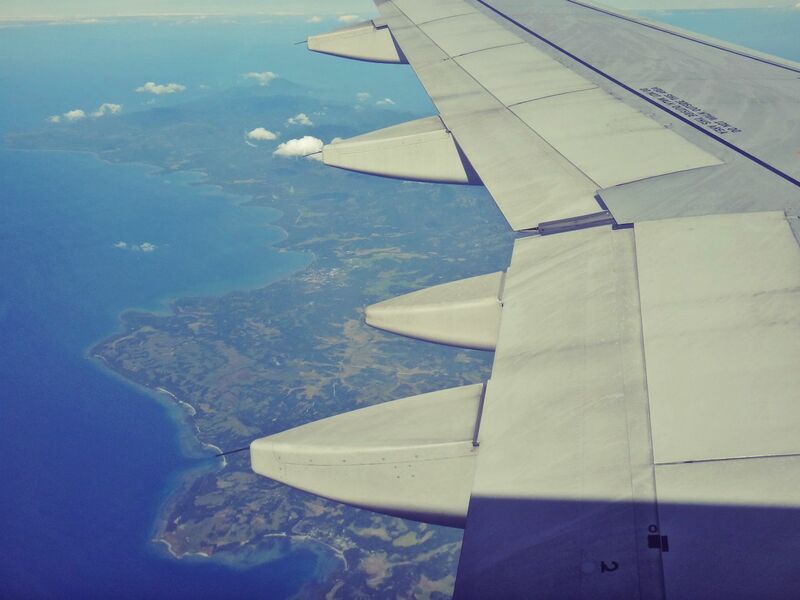 For airport transfer to Boracay, you may checkout this page. Boracay Okay! (Part 2) – The Accommodation.